How to deposit from Metamask to COBINHOOD Exchange? 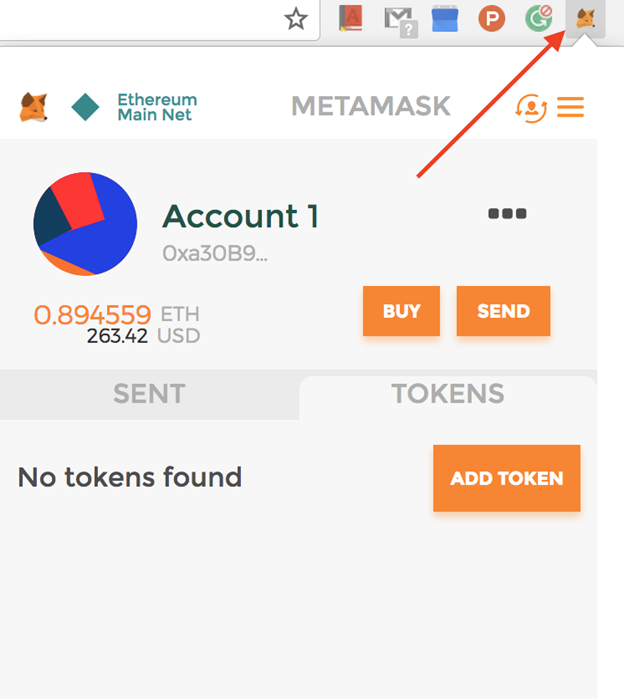 Before you can deposit from Metamask to your COBINHOOD Exchange account, make sure that Metamask is installed as a Google Chrome Extension in your browser. If not, please follow the simple steps from this link first. After this, you can proceed with the steps listed below. 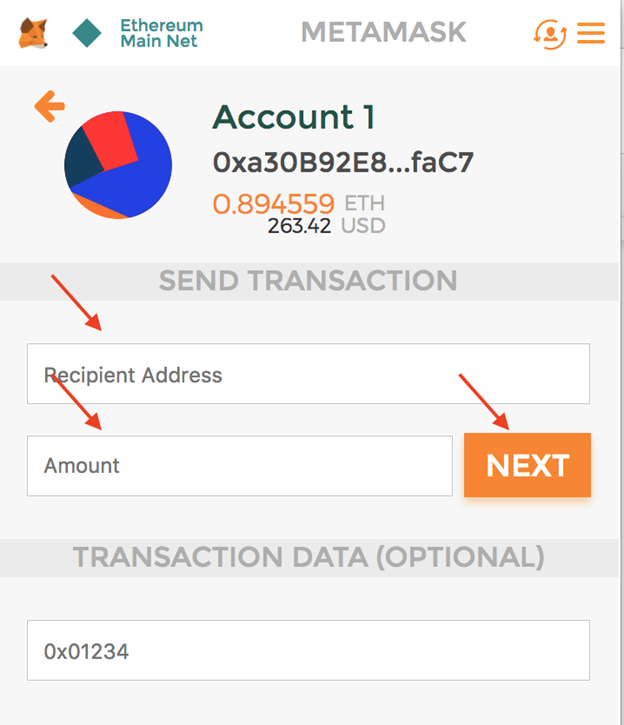 Step 3: In the Recipient Address field, enter the deposit address from your COBINHOOD Exchange account. Step 4: Enter the amount of ETH you want to deposit in your COBINHOOD Exchange account. Step 5: Click Next when you're ready to proceed. 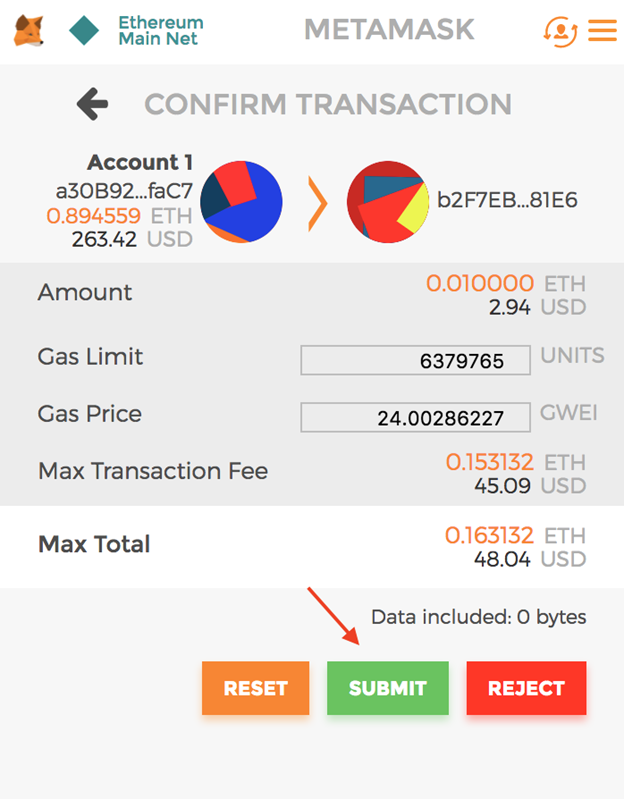 Step 6: Finally, make sure that the Amount, Gas Limit, Gas Price, and the Total Amount is correct before you click Submit to complete the deposit to COBINHOOD Exchange. Step 7: Go back to your COBINHOOD Exchange Account > Wallet to check your funds. Note: The time it takes for your deposited amount to reflect on your COBX account may vary depending on how big or small your deposit is. ＊In het geval van tegenstrijdigheden tussen de Engelse en de Nederlandse versie, heeft de Engelse versie voorrang.